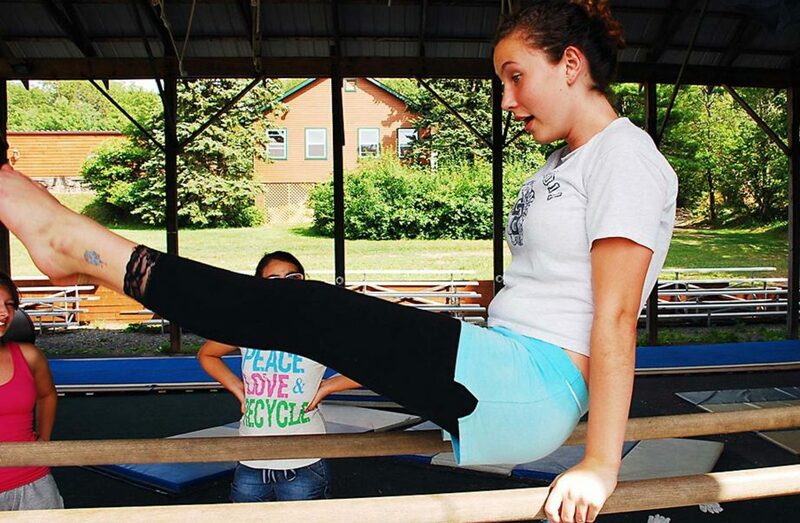 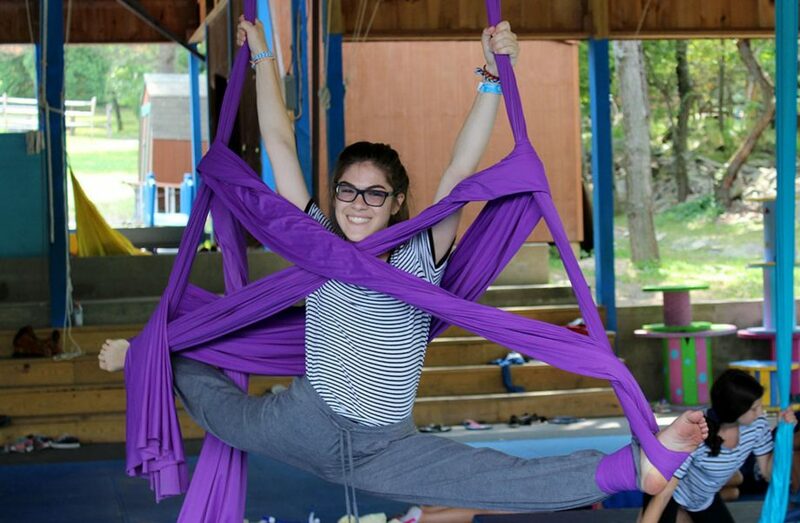 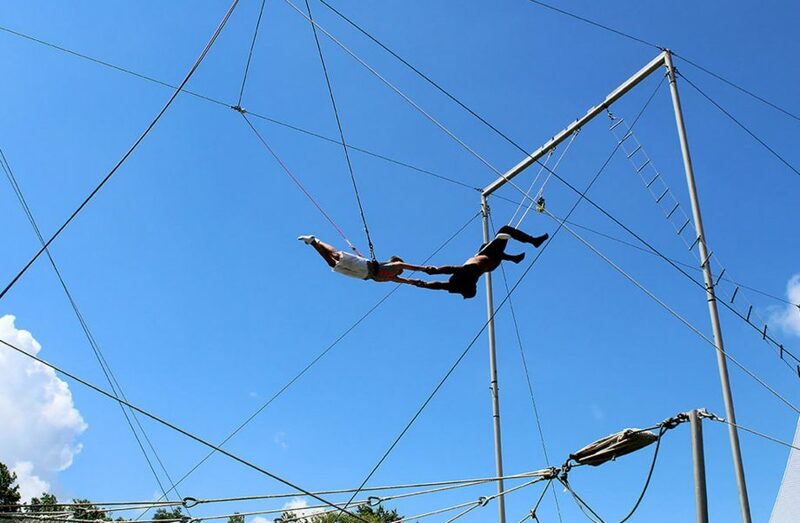 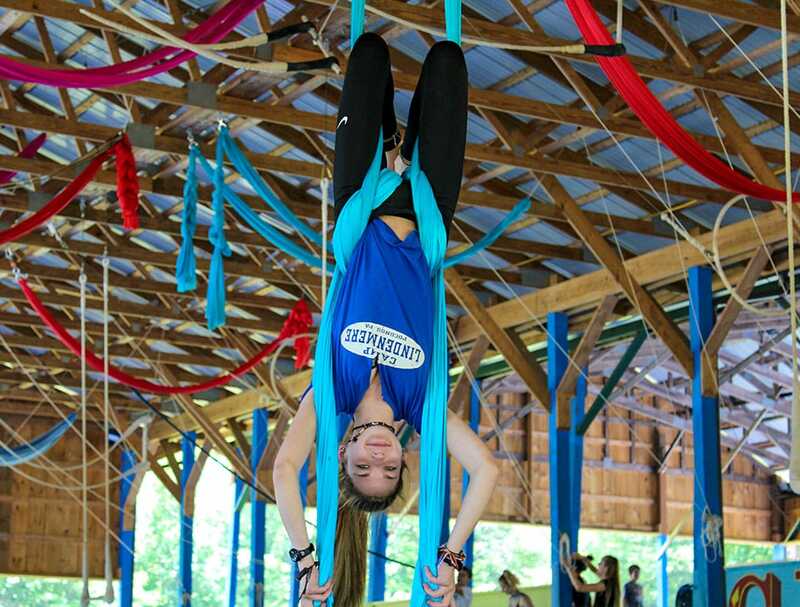 Juggling, Silks, Hammocks, Lira, Spanish Web, rolla bolla, along with Static, Single, Double and Triple Trapeze all take place in a modern pavilion which is specifically designed to allow our staff to teach the circus arts to campers of all skills different levels. 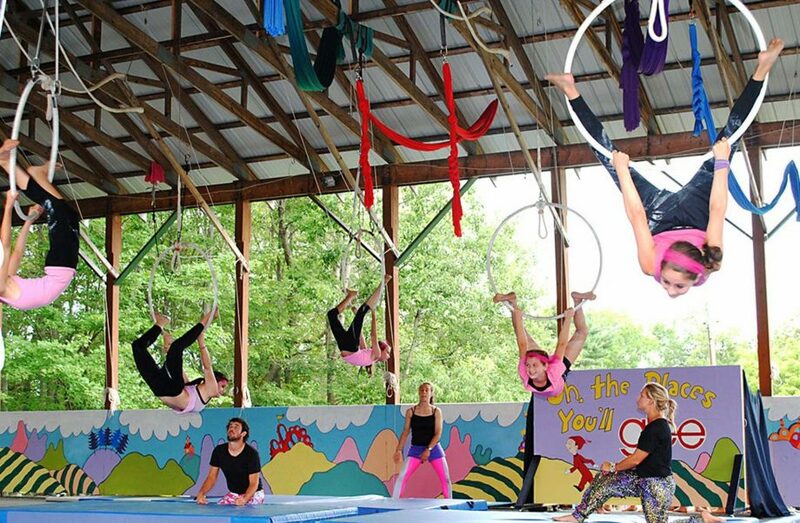 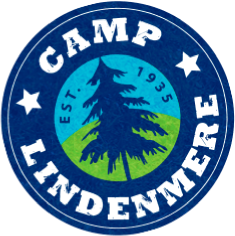 No matter what your ability, the Lindenmere Circus Pavilion is sure to challenge you! 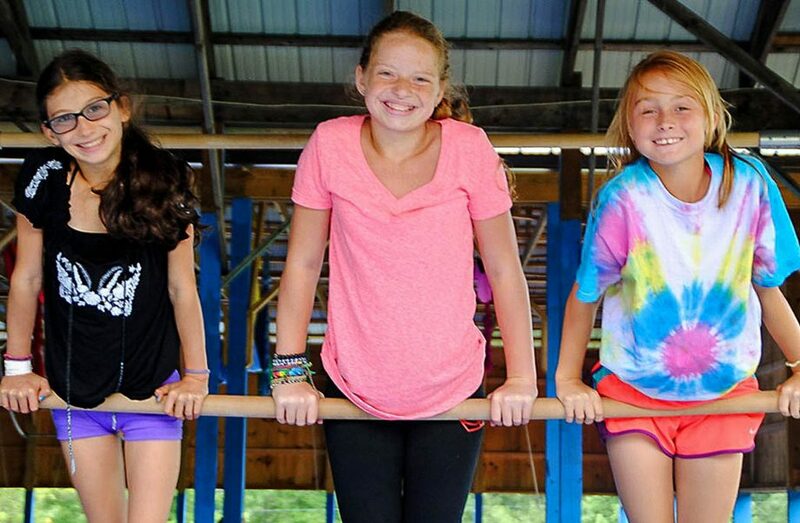 Our gymnastics center caters to all skill levels and focuses on mini trampoline, balance beam, uneven bars, tumble track, vaulting and floor routines. 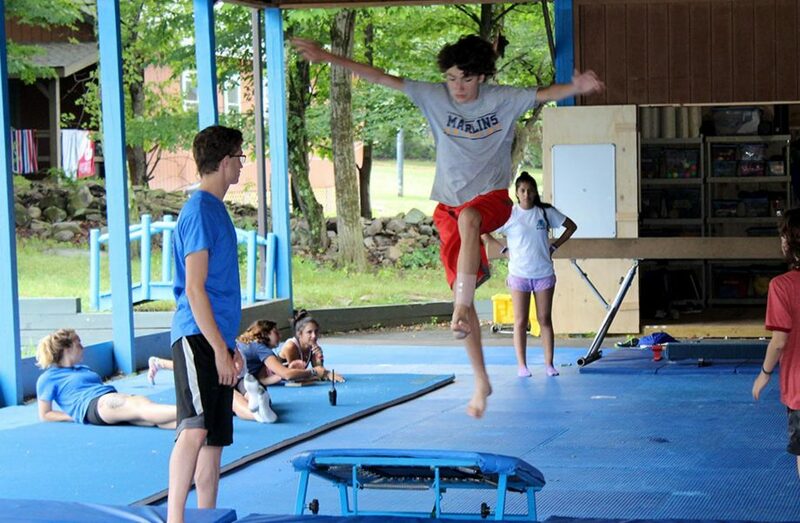 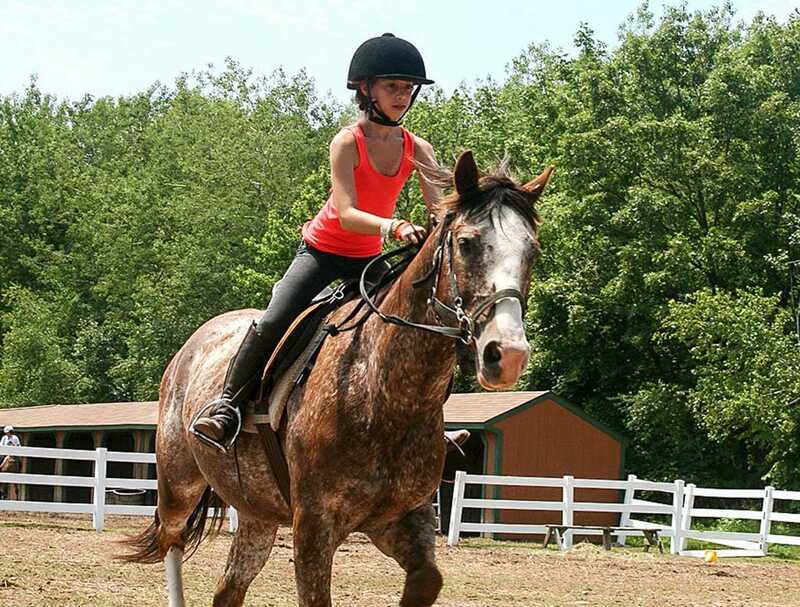 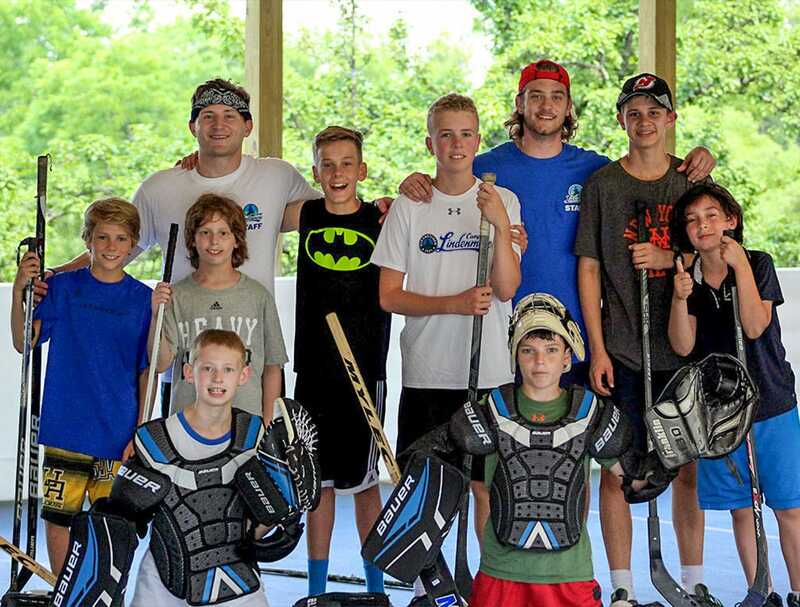 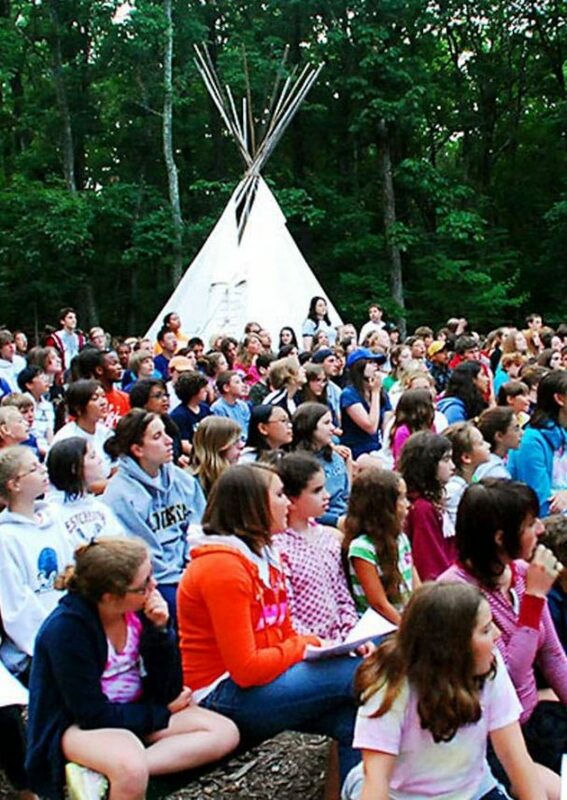 Campers will be able to develop and maintain the muscle memory that they need to continue to grow their ability. 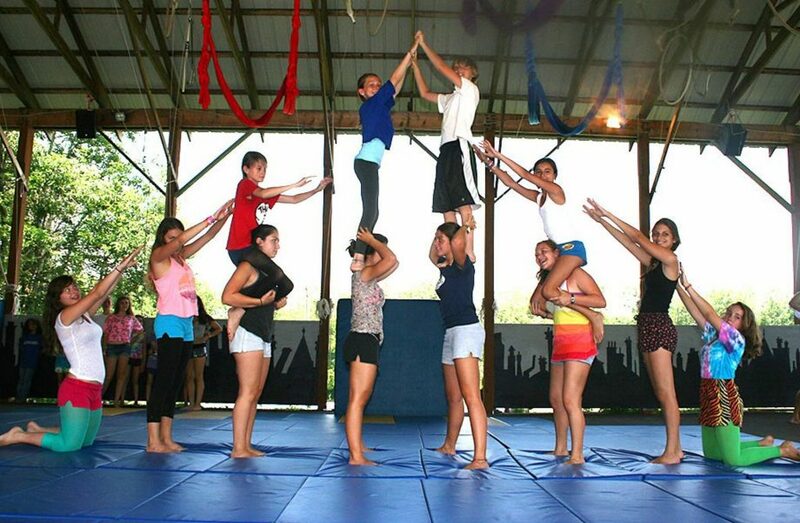 The gymnastics pavilion is connected to the circus building so there is always a ton of action in the area! 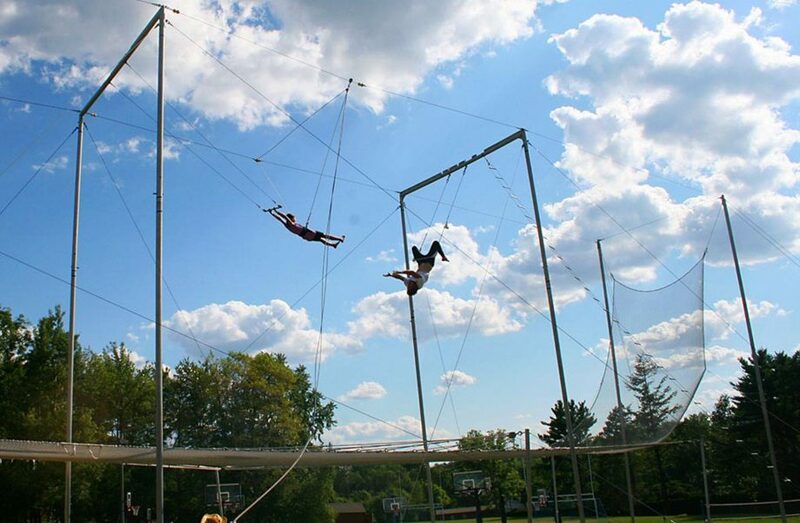 Our two flying trapeze rigs are camper favorites and a terrific compliment to our circus pavilion. 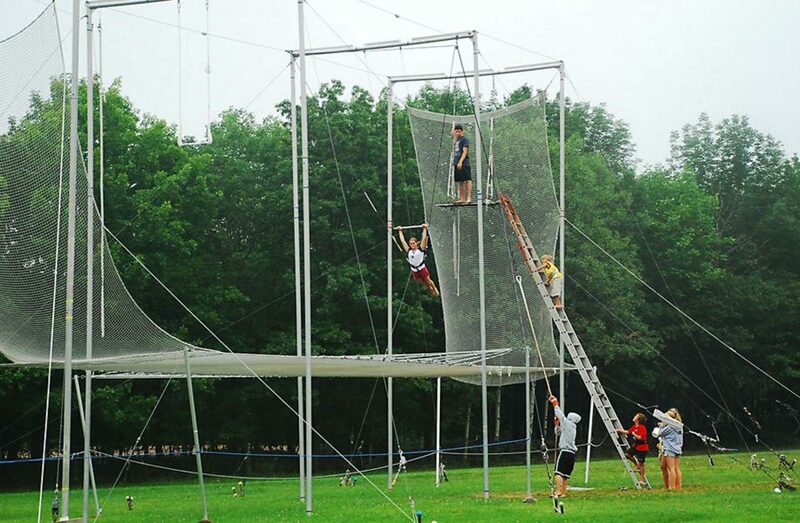 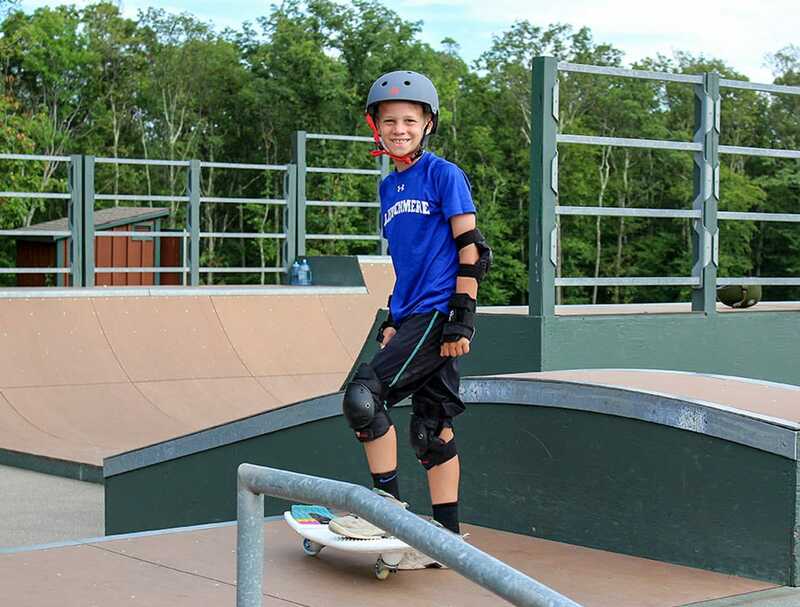 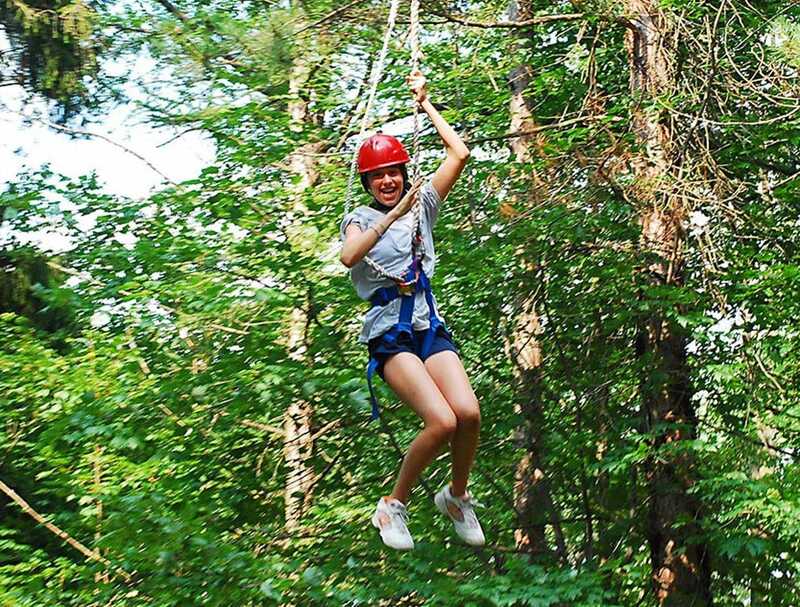 Campers love to safely soar over thirty feet off the ground learning different tricks that vary in skill level and degree of difficulty. 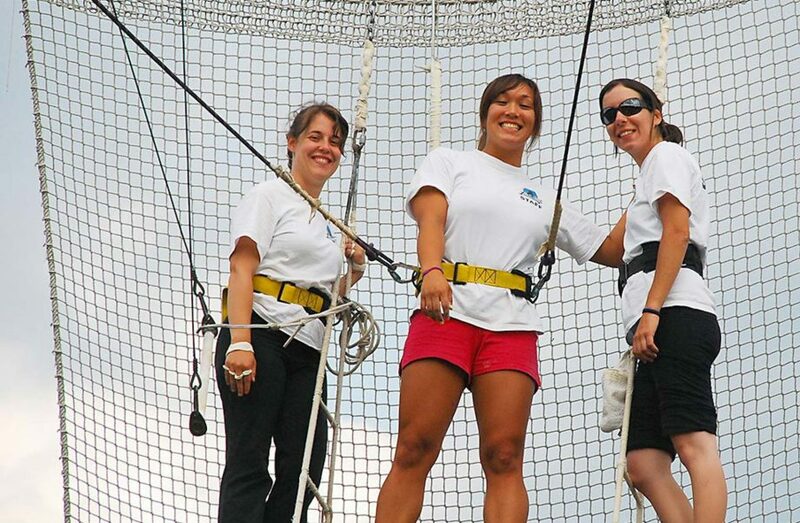 Our staff will create a lesson plan for you to continue to progress and work towards your goals. 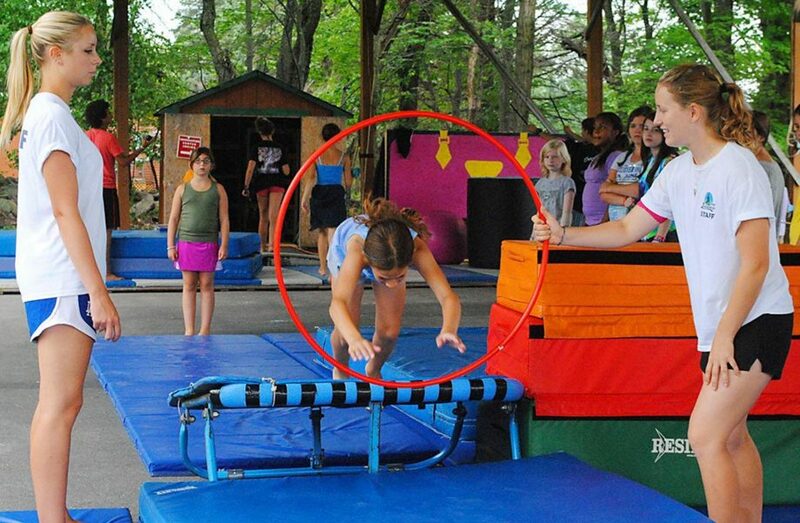 There are many difficulty levels of tricks including learning out to be caught!